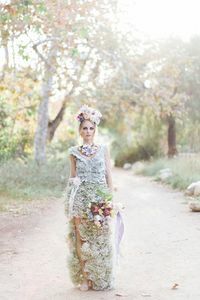 We're so excited to share this UH-MAZING dress with you, and yes, it's made of living fresh flowers! 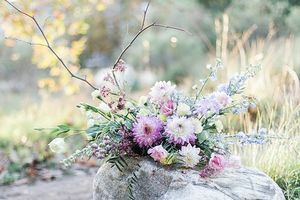 Korie Mulleady from The Enchanted Florist came up with idea of head-to-toe florals and teamed up with Joanna Carillo photography to create this true work of art. From the amazing floral necklace, dress and head piece, to the soft and subtle makeup by Zarina Herrera. It's boho inspiration like you've never seen before!